Happy July! I say that mostly because I’m happy one month of summer is done and over with and only two more to go. I really really do not like the summer months. It’s so darn hot and humid and yucky. I hate walking out the door and instantly sweating. And on the mornings I run? I will sweat all day long, even after a shower. Just gross. 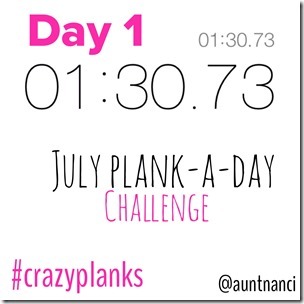 So how about joining me for me a plank-a-day challenge for this month? 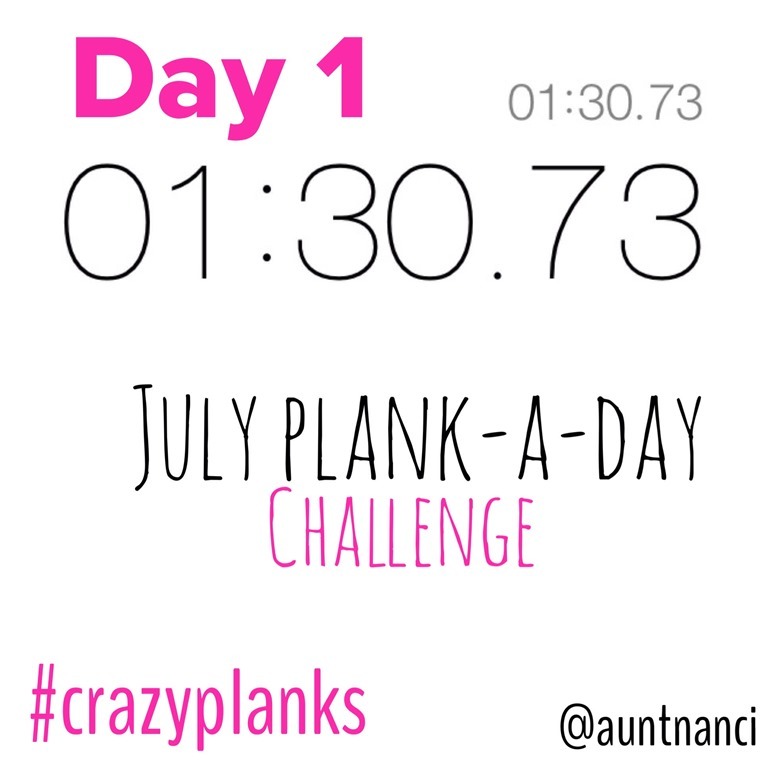 No time limits or requirements, just plank every day of the month for however long you can do it, maybe trying for a little longer each day. We are all different skill levels, so just do what you can! 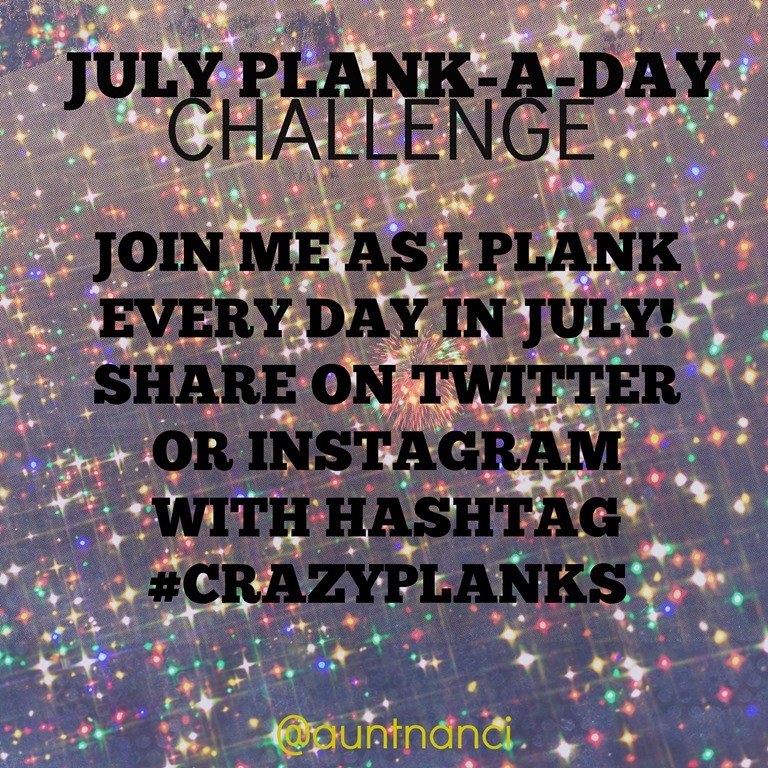 As you join in, I’d love for you to share stats, pictures, whatever you like, using the hashtag #crazyplanks on Twitter and Instagram. I already did mine for today. 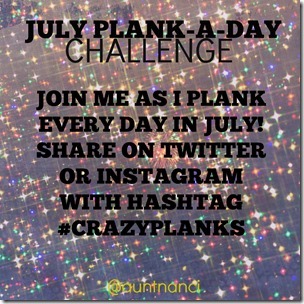 Planks are so good for your core and your back. Since I start marathon training this month (!!! ), I need to do this. Comment below if you’d like to join me and leave your Twitter and/or Instagram handle so I can follow you if I’m not already!